For so long i have only ever used GHD straighteners for my hair, i think the fact that they are so widely used and known and because of how amazing they are! Because i have such long hair i guess i just always stick to what i know works best. But when i was asked to test out the Ko:Kou Pro Dallas hair straighteners i jumped at the chance to try out a different brand! Firstly i love the girly packaging that it comes in, anything that is pink instantly wins me over! I know the colour of a product doesnt make any difference to its job but having a red pair is such a nice change to the boring black pair that i own! The instructions are all super easy to follow and ultimately they work how any other straighteners do. They can heat up to 210 degrees which i think is about around how hot the GHD’s also heat up to. I opted for 190 degree heat as i try not to cause too much heat damage to my hair. It claims to be a fast heat up although for me i think it did take slightly long, a few minutes at the most but i think i’m just used to how fast the GHD’s heat up so all in all they arent too far behind but i do usually opt for a product with a fast heat up. I did favour how the ceramic plates are slightly wider than my other pair which means i could cover more hair at once, which is a god send when you have such long hair like myself! 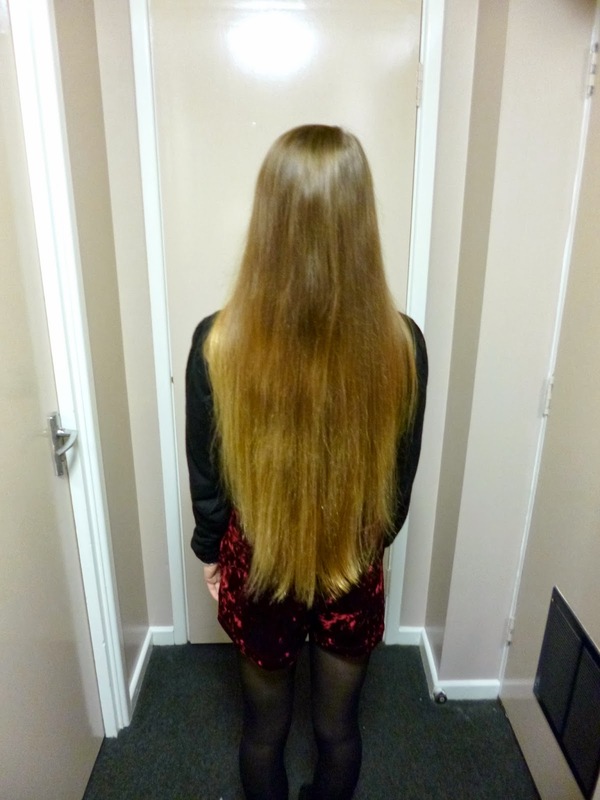 I also liked how once clamped down on the hair and whilst straightening it didn’t snag or even pull at my hair at all, i find that with my GHD’S they clamp down so hard that it pulls and snags my hair when you hit a tangle. The finished result can be seen above and i am really impressed with how my hair came out. It gave my hair a sleek finish and overall i think that these are a fantastic and MUCH cheaper alternative to standard GHD’s! Ko:Kou sell these as well as a wide selection of other hair appliances at affordable prices! Have you heard of these hair straighteners before? What are your favourite hair appliances to use?